Easter Nest Cake with layers of whipped cream, fresh strawberries and a chocolate buttercream nest. Holiday desserts are one of my favorite things to cook, starting with a perfect Cinnamon Coffee Cake, up to a Pumpkin Cheesecake and obviously some sweet Apple Cider. 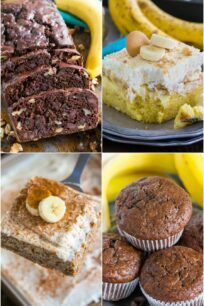 These delicious desserts will warm up your soul and tame your sweet tooth, no matter how cold it may be outside. 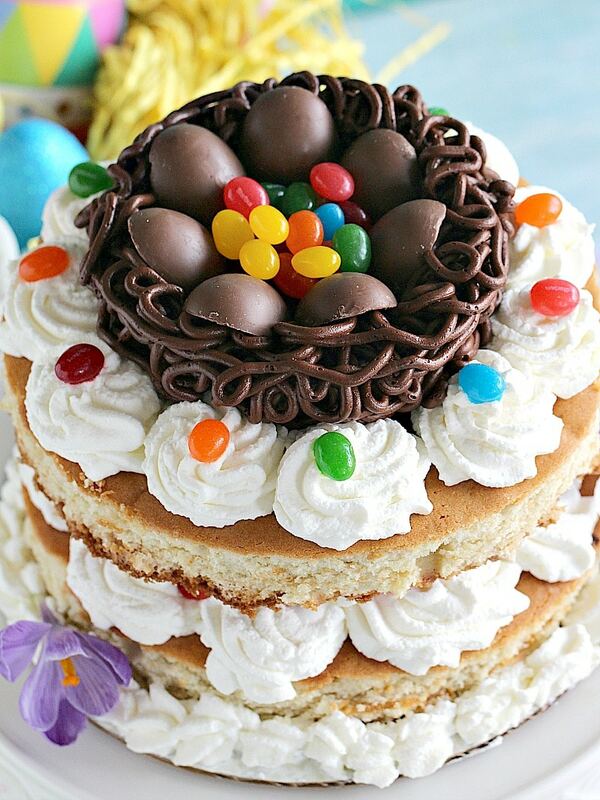 This Easter Nest Cake is filled with M&M’s White Strawberry Shortcake and Starburst Sweet & Sour Jellybeans. There is no celebration in our house without cake, never ever! 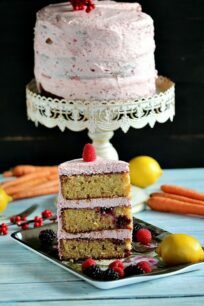 This cake is very easy to make, and it’s so delicious. Easter M&M’s White Strawberry Shortcake were added to the vanilla cake batter, for a mild touch of strawberry flavored chocolate in each bite. First, the cake layers are topped with fresh whipped cream and fresh strawberries. This give the cake a bright and fruity finish. Fresh, seasonal colors, in neutral or pastel colors are added to the side of the cake. They are a beautiful touch that make the cake even more festive. 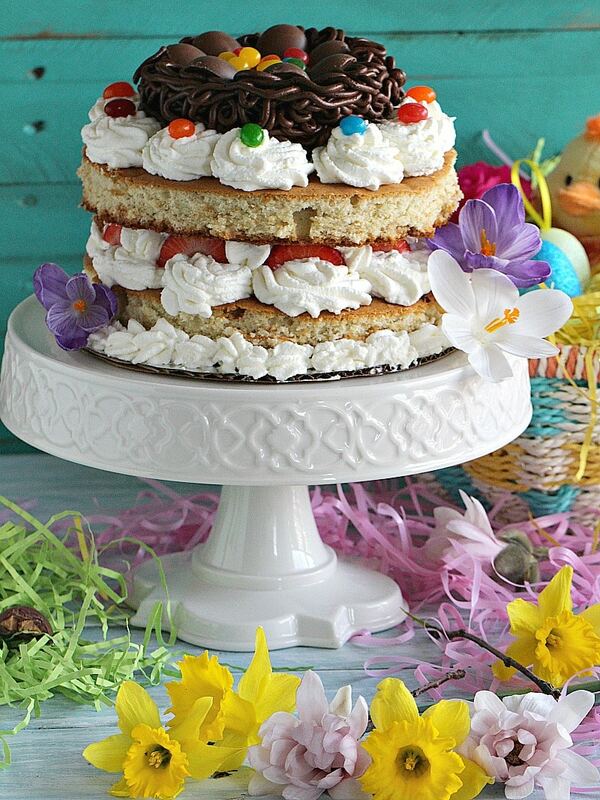 Lastly, the final layer of this Easter Nest Cake is topped with clouds of whipped cream. Then, it is topped with Starburst Sweet & Sour Jellybeans for a pop of color. Also, I like that they look like tiny eggs. 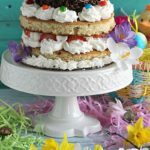 The centerpiece of this Easter Nest Cake is a Chocolate Buttercream Nest that is filled with DOVE Peanut Butter Eggs and extra Starburst Sweet & Sour Jellybeans. Firstly, it’s a gorgeous cake, with beautiful mix of colors. Also, the cake is very easy to make, and budget friendly. Perfect for a special occasion, like a baby shower or Easter. Lastly, it’s super fun to make with kids. First, decide on the color pattern that you want. I personally like pastel colors, so I choose items in those colors. Also, buy a sturdy basket, a lot of baskets are very easy to break, which makes handling them a nightmare. Make sure you choose a basket that will hold all of the items you intend to add to it. Fill your basket with colored shredded paper. I went for green, yellow and pink – it fills the basket and it will serve as a bed for all the goodies. If you are good at painting your own eggs, add some to the basket. However, plastic eggs are a great alternative. They come in different colors and sizes, and I like the ones covered in glitter, for a pop of color. In addition, add your favorite goodies. I went for a sweet theme, because I am a huge fan of all these candies, and just need an extra excuse to have some. I also like that they match my pastel color palette. Adding fresh or artificial flowers to your basket will add a beautiful touch, and seasonal flowers will look especially nice. Soft toys, chocolate bunnies make very nice additions as well. Spray a half sheet pan ( 18"x13"x1") with baking spray and line the bottom with parchment paper, spray the parchment paper and dust the pan with a little flour, tapping out any excess. In a large bowl, mix dry ingredients: flour, baking powder, baking soda and salt. In the bowl of a stand mixer fitted with the wire whisk, on medium speed beat butter, gradually add the sugar and beat until light and fluffy. Add the eggs one at a time and whisk until combined. Add oil and vanilla extract, mix until fully combined, pause to scrape the sides of the bowl with a spatula. Add the dry ingredients followed by the kefir. Mix until blended, taking care not to over beat. Manually, with a spatula, fold in the M&M's White Strawberry Shortcake. Transfer batter to the baking sheet, spread evenly and bake for 30-35 minutes. A toothpick inserted in the middle of the cake must come out clean. 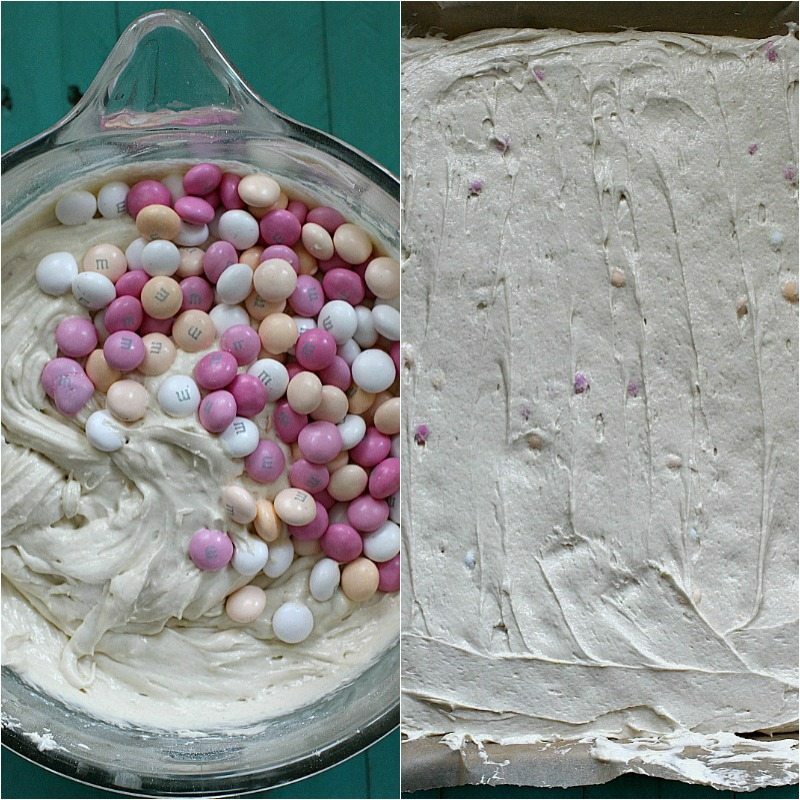 Remove cake from oven and let it cool in the pan for 15 minutes, after that, with the help of the parchment paper, slide the cake from the pan, to the counter to cool completely. Once completely cooled, using a round stainless steel cake ring, cut two or three round cakes, in dependence how big the ring is. In the bowl of an electric mixer, beat heavy whipping cream and sugar until soft peaks form. Transfer to a pipping bag fitted with an open star tip. 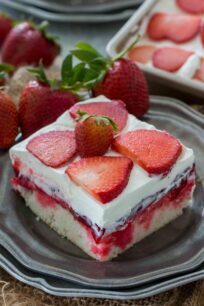 On the first cake layer, pipe individual frosting "flowers" close to each other, top with the strawberries, fill in the gaps with a little more whipped cream and top with the second layer. Pipe whipped cream "flowers" on the sides of the cake, saving the middle for the nest. In the bowl of an electric mixer, beat butter for 1 minutes, add cocoa and sugar, beat for another minute, add heavy cream and vanilla extract and whisk until combined. Scrape the sides of the bowl with a spatula to ensure uniform beating. Transfer to a pipping bag fitted with a round #4 tip. In a circular motion, start piping the nest, layer after layer, in the middle of the top layer. Make it as high or thick as you want, add some buttercream in the middle of the nest. Once done, refrigerate for one hour and after that fill the nest with DOVE Peanut Butter Eggs, Starburst Sweet & Sour Jellybeans and add fresh flowers to the side of the cake. This cake is just so absolutely stunning! But when I read your introductory comment that it’s easy to make, too … I’ve gotta admit I was a little skeptical. But, actually – your instructions do such a good job of breaking it all down – I really do feel like this is totally achievable! You truly do make it feel easy! Really not nearly as hard as it looks … and it looks like a masterpiece! Total showstopper! This cake is stunning! Strawberry shortcake is my favorite! And that nest on top is adorable!! Wow! How adorable, this would be such a fun family activity! Holy wow what a cake. My kids would go wild if I made something like that for them. Very pretty!